Posted on December 5, 2018 at 5:41 pm. 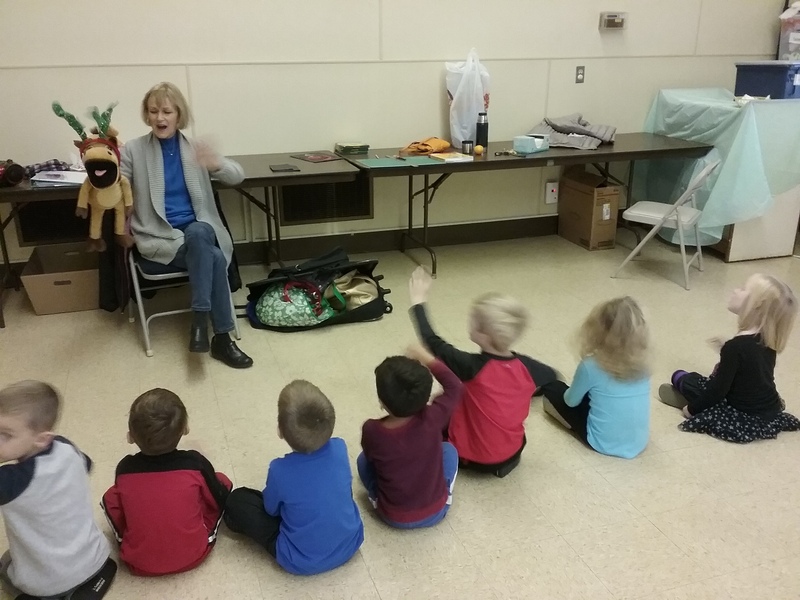 Let’s take a peek into music class with Ms. Lisa! 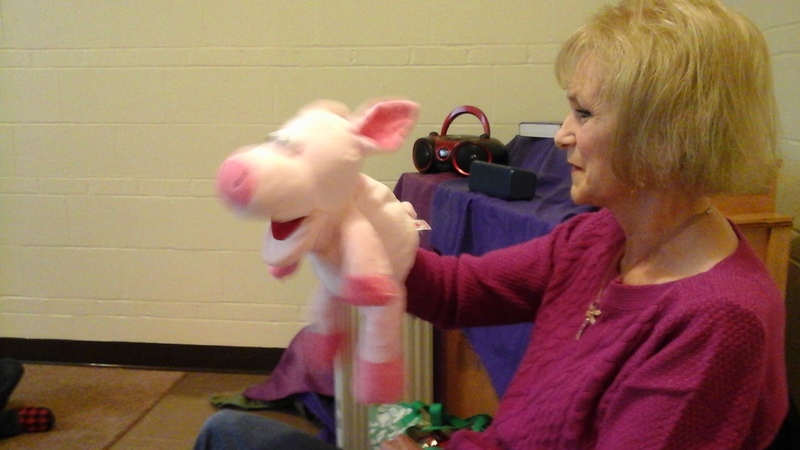 Each class begins with the children singing “It’s music time today!” Then, Ms. Lisa and her puppet sing good morning to each student by name and have the student sing good morning back to the puppet of the week. 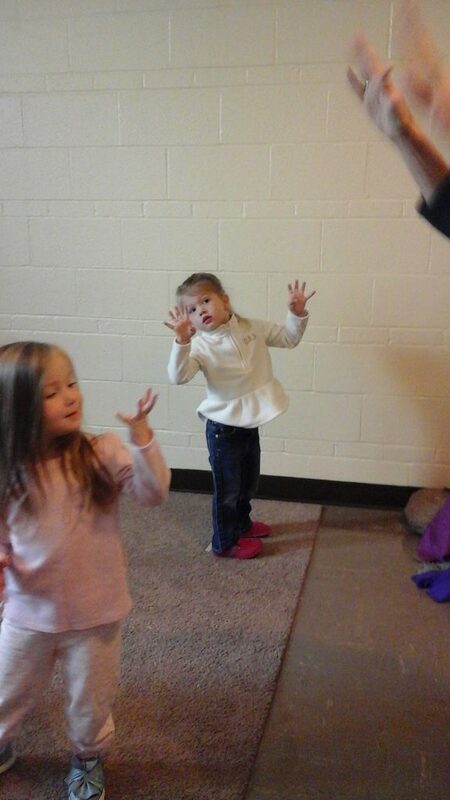 This is a favorite part of music for the kids. 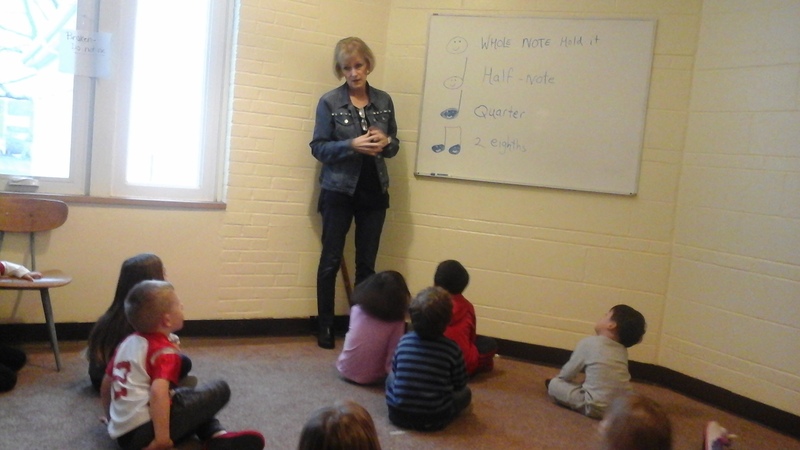 Each music class has also been a review of whole notes, half notes, quarter notes and eighth notes. 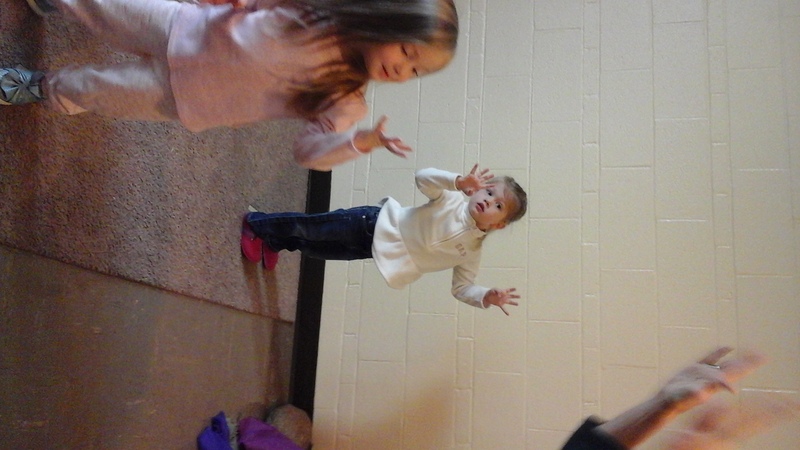 Above, the music class is singing and pretending to be elephants. 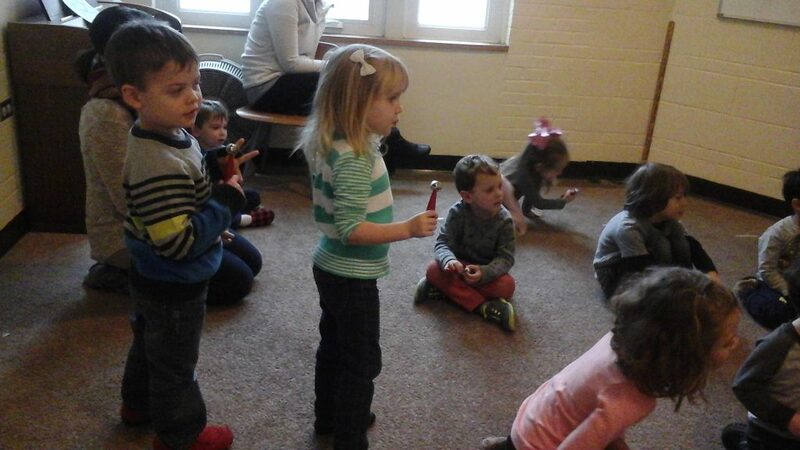 The kids are enjoying using bells to accompany their songs! 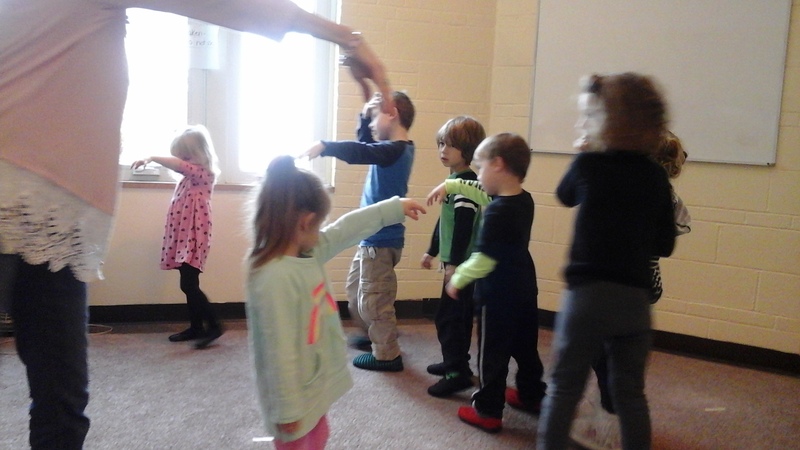 Time to add some movements to the song! 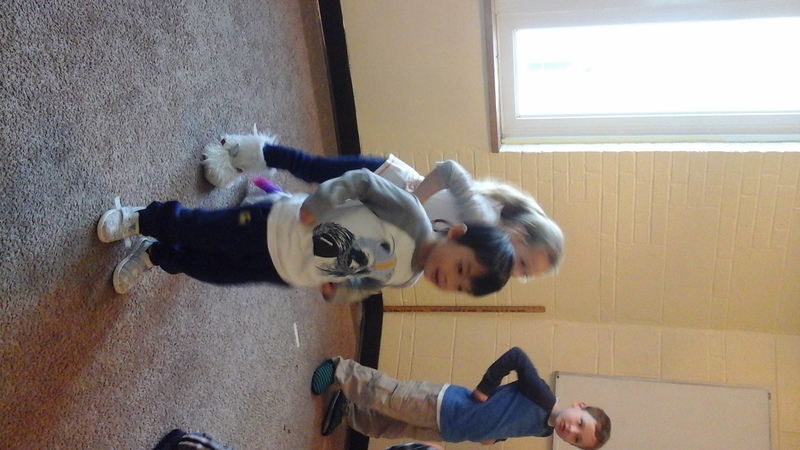 The class has also learned the musical terms “Alegro” -Fast, “Adagio”-Slow, and “”Ondonte” -walking beat/ medium. 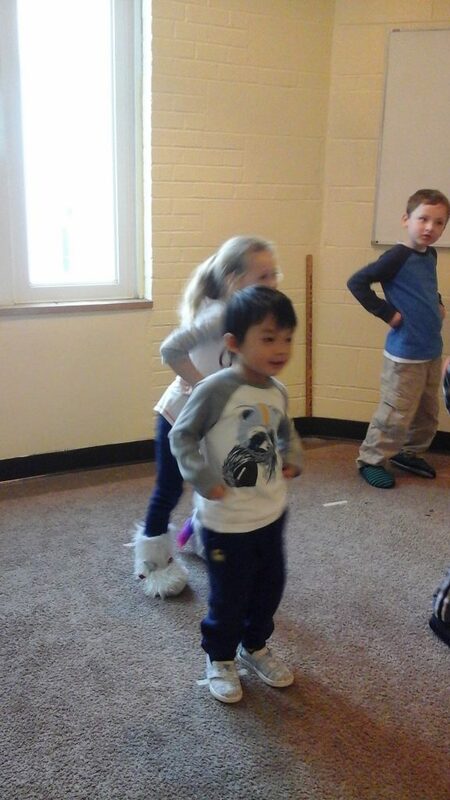 We have also begun practicing for our upcoming Christmas Show during music class! 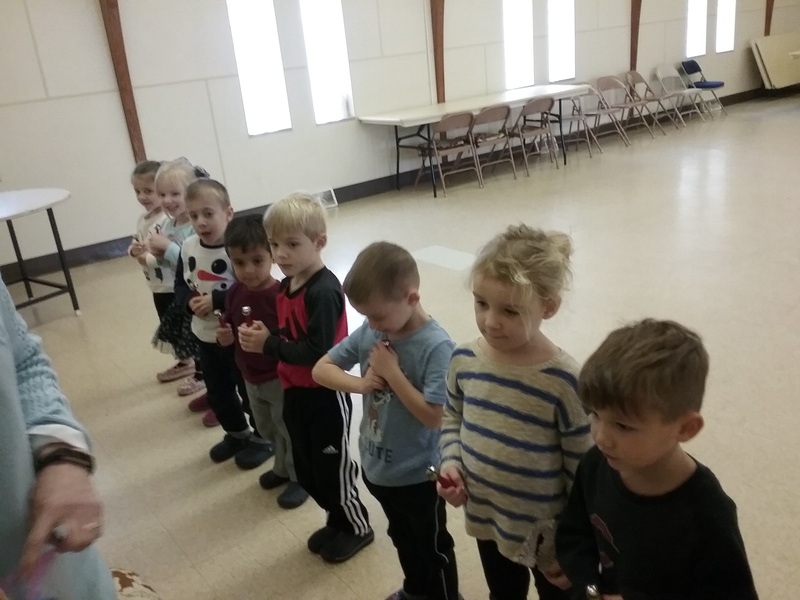 We can’t wait to sing for you there!